Today, I issued the following statement in response to the Department of Defense’s announcement of a new $171 million contract with the Russian state-controlled arms export firm Rosoboronexport, who continues to arm the Assad regime in Syria. As we speak the Assad regime continues its murderous campaign against its own people with the implicit blessing of Moscow, and the Pentagon’s refusal to seek out alternatives to Rosoboronexport cements the utter disconnect between the President’s stated policy in Syria and our actions abroad. In June, I sent a letter to Secretary of Defense Leon Panetta again expressing concerns with the U.S. Government’s relationship with Rosoboronexport, who has for years been arming the Assad regime. I asked Secretary Panetta for a commitment that the Pentagon conduct a full and open competitive process for any future procurement of Mi-17 helicopters, which the U.S. has been buying through Rosoboronexport on a no-bid basis to equip the Afghan military. 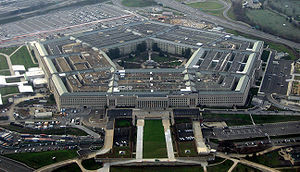 He asked for a full audit of the Pentagon’s contract with the Russian arms broker, emphasizing its importance in the context of the stalled nomination of Heidi Shyu to serve as the Assistant Secretary of the Army for Acquisition, Logistics, and Technology.